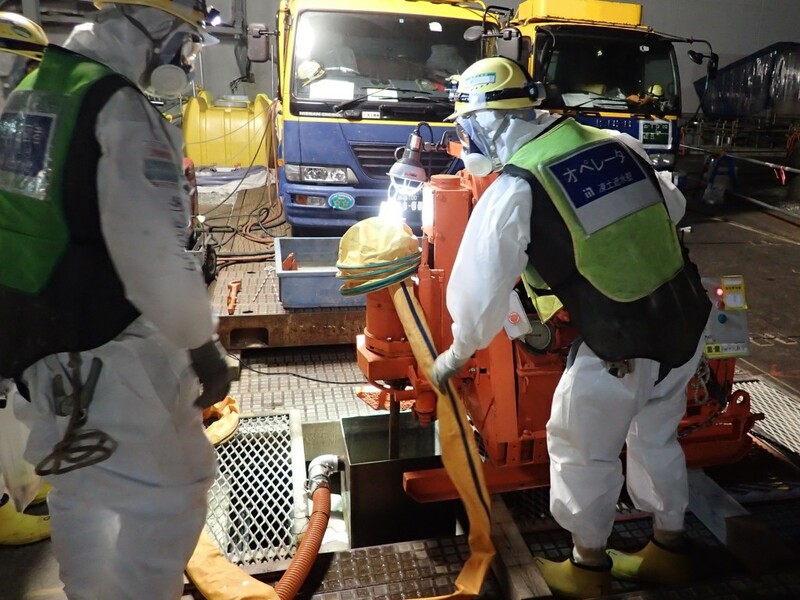 The frozen wall at Fukushima Daiichi has seen some minor progress amid ongoing problems with freezing portions of the wall. 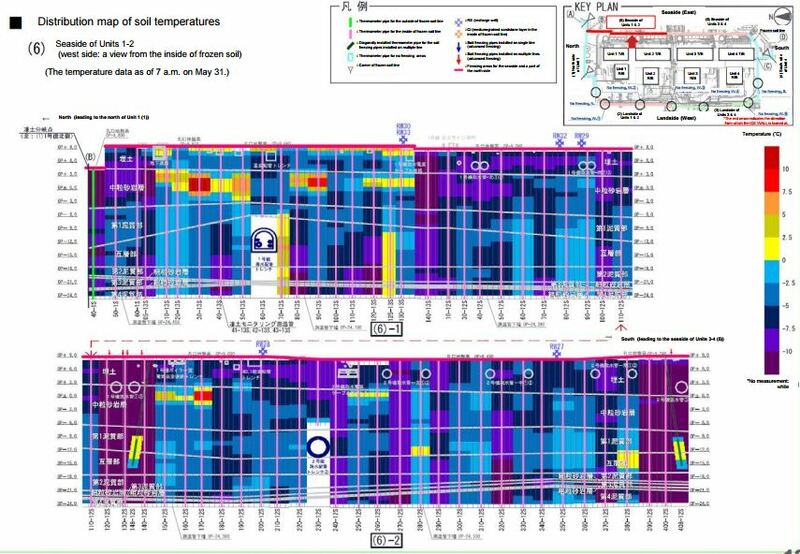 The diagram of the section near unit 1 below shows slight improvement in freezing in the problematic area. The small sections that had been red on previous diagrams still shows as red but more of the general area has gotten colder. 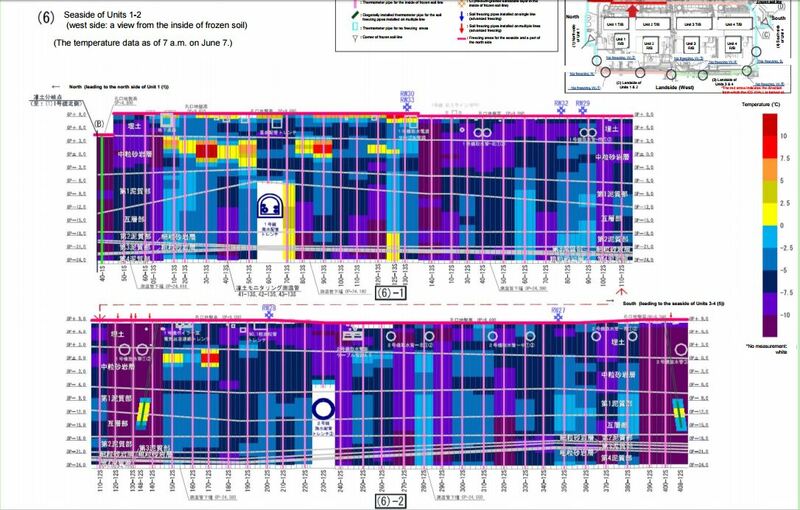 Even with this progress TEPCO has opted to inject cement near the seaside section north of unit 1 and also the section south of unit 4. 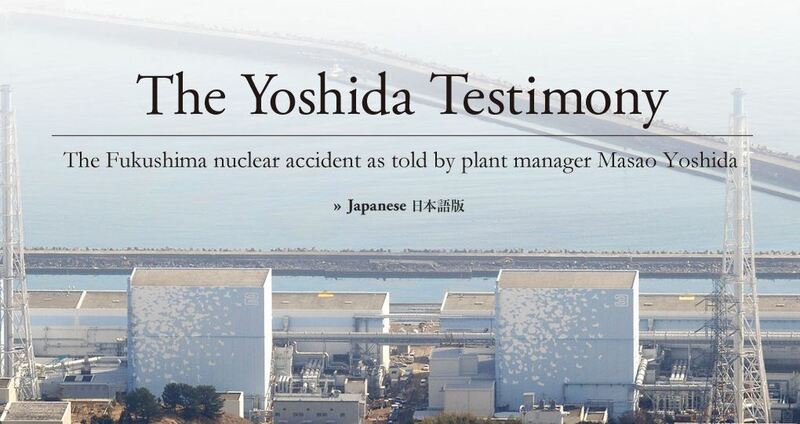 Sankei Shimbun reports that the problem sections had temperatures of about 7.5 degrees Celsius. There is a known dry creekbed south of unit 4 that has been a location of higher groundwater flows. This flow created problems when they finally closed the steel sea wall. 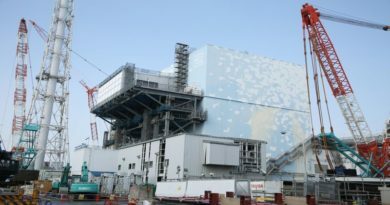 TEPCO also announced they would begin freezing more of the land side sections of the wall. This whole series of events resulted in some terse exchanges between TEPCO and NRA officials at their most recent meeting. Right now possible causes for the lack of freezing could be high concentrations of groundwater flow, thermal contribution from groundwater sources or thermal contribution from the reactor buildings or corium (melted fuel) masses that water comes in contact with. It may also be a combination of these but it will take time and additional efforts to refine what the causes could be. 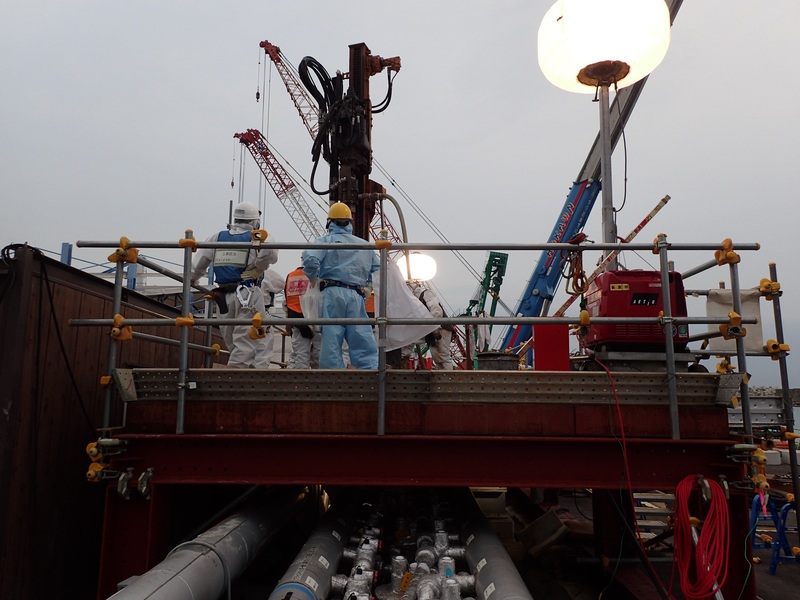 Photos below are of the cement injection work TEPCO is now undertaking on the north and south ends of the frozen wall zone. The cement work may help slow the mechanism that is causing the lack of freezing or it could just divert the problem to other sections of the wall. It may take a month or more to know if these additional efforts will help. Upcoming warm weather and typhoons in later summer could also potentially influence this work.